The Parable of the Talents is one of the famous parables in the Bible. It teaches a lot about the gifts God gave to us which include money, skills and talents. I posted the passage below and described the essential points that I believe can guide us in our journey called life. For it is just like a man about to go on a journey, who called his own slaves and entrusted his possessions to them. “To one he gave five talents, to another, two, and to another, one, each according to his own ability; and he went on his journey. “Immediately the one who had received the five talents went and traded with them, and gained five more talents. “In the same manner the one who had received the two talents gained two more. 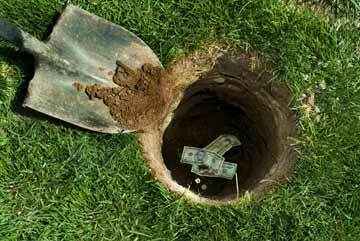 “But he who received the one talent went away, and dug a hole in the ground and hid his master’s money. “For to everyone who has, more shall be given, and he will have an abundance; but from the one who does not have, even what he does have shall be taken away. “Throw out the worthless slave into the outer darkness; in that place there will be weeping and gnashing of teeth. Money Lesson 1: Take calculated risks. I contemplated on the parable and it implies that we can take some risks on the skills, talent or money that we have. We just need to calculate the things incorporated with the risks. How can we ensure that risks are considered and mitigated? The answer is that we need to educate and equip ourselves with the downside of the risks we will be taking. For money and finances, we need to have a proper financial training / coaching. For our skills and talents, we need to expose ourselves for opportunities and enhancements related to our core values. Through proper education, the fear of making our money grow or improving our skills and talents will be diminished. Money Lesson 3: Be a Good Steward of Money. We are asked to properly use what are entrusted to us. The reason of becoming rich is not to have all the things we want but to help and become a blessing to others. Money is not good nor bad, it only magnifies what is already there. If we instill love, we magnify that love because we can expressively do that through the resources that we have. If we instill hatred, we magnify that hatred through fighting over money or selfishly securing ourselves and keeping the money within us. Indeed, the passage gives us ideas on how to deal with the money, skills and talents that God gave to us. Enhance these gifts, bless others and make a difference. What other lessons can you find from the Parable of the Talents? Share your thoughts and meet us in the comments.